What is your favorite type of pen? Clicky? Capped? No cap and no click? Or just plain unique? If you like uniquely designed pens, then I present to you, the Stealth Pen from Lioe Design. 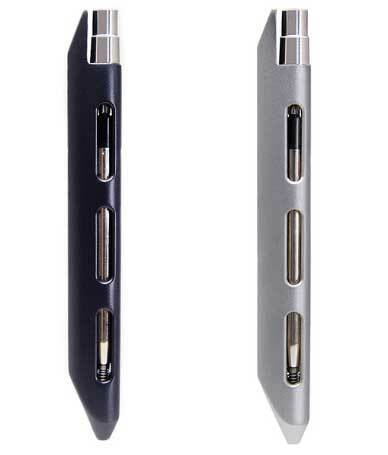 This aluminum uni-body style pen has been designed to use a total of 4 parts. 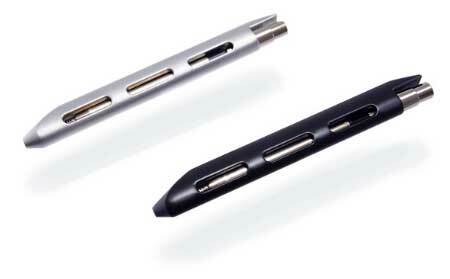 The minimalist design makes the pen easy to assemble and disassemble and keeps it very lightweight. The pen uses Schmidt parker style G2 refills and comes with a Schmidt EasyFlow 9000 refill. The slots in the barrel allow you to see the type of refill installed in the pen and the non-standard shape is supposed to offer extra grip comfort. Available with a silver or black bead blasted finish, the Stealth pen is priced at $68. You can read more about it at lioedesign.com and you can order one from Amazon.